A story of three wars: what happens to the front-line people? 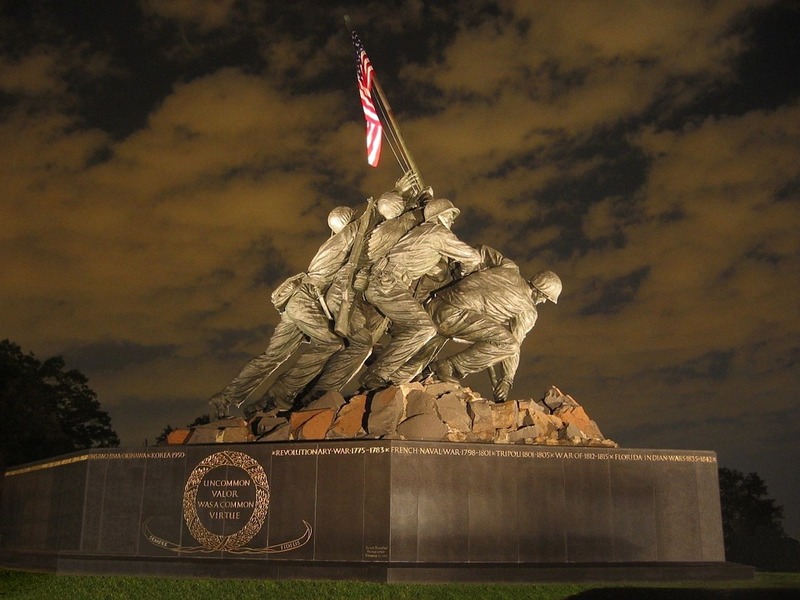 Iwo Jima memorial. Image courtesy of skeeze, Pixabay. What happens to the people on the front lines of a war? Some war movies might come close to depicting the reality, but real war fighting is much, much more that we can ever imagine. That’s my impression after reading Alexander Rose’s interesting book, Men of War: The American Soldier in Combat At Bunker Hill, Gettysburg and Iwo Jima. Rose looks at what happens to front-line soldiers by comparing the experience of soldiers in three different wars in three different eras. 115-145 bpm: Hormonal or fear-induced spikes to heart rate. Complex motor skills, visual reaction times and cognitive reaction times at peak. Fine motor skills start to dip. 150-175 bpm: Mental/physical abilities start to deteriorate, and cognitive processing and logical reasoning are affected. 175 bpm or above: Animal instinct takes over. Soldiers have problems deciding whether to fight or flee, and gross motor skills (such as charging or running) are at peak. Another interesting part was Rose’s description of Iwo Jima. I knew that fighting on Iwo Jima was no picnic (! ), but I didn’t realize that the beach wasn’t pure sand but volcanic ash. So soldiers sank into the beach up to their calves and had to fight their way forward despite fierce resistance. Some of the soldiers’ experiences didn’t seem to change no matter what battle they were in. Some people had to learn by hard experience, the more experienced soldiers taught the newer ones, and people came to the end of their tethers. I can only imagine what survivors felt and what their families felt after they returned from the war. Hopefully, some of them found internal peace again.